Located in the heart of San Francisco by all forms of transportation. 24 Hour Reception Desk, Business Center, Concierge, Pet Friendly Hotel. 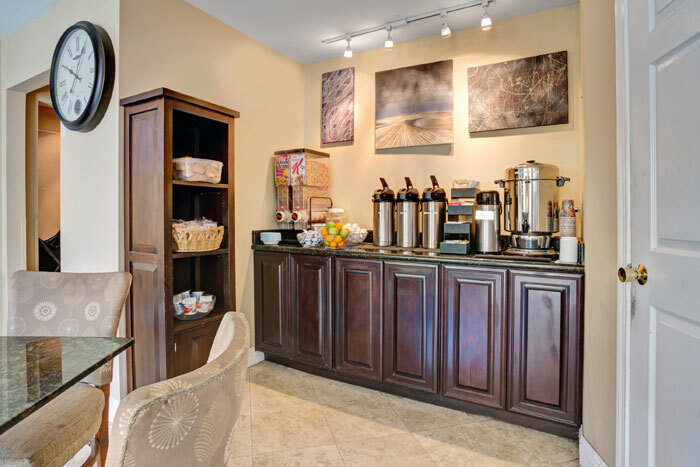 Start your day off right with our Free Bear Bites Continental Breakfast including Hot Brewed Coffee. Walk to the entrance of Presidio Park and short drive to Golden Gate Bridge. Book a room at our Travelodge at the Presidio San Francisco hotel and enjoy our great location near the Presidio National Recreation Area. 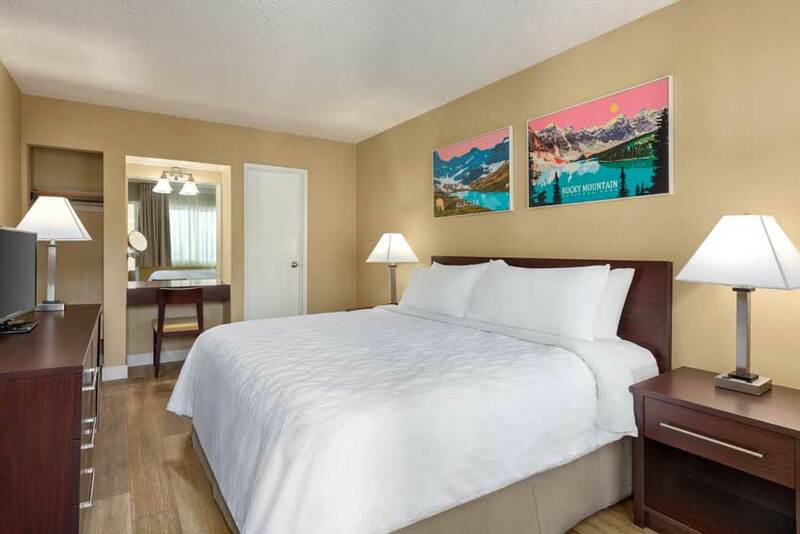 Our budget hotel brings you excellent comfort and value during your northern California adventure. Get a fresh start with our free Bear Bites continental breakfast. Read a free USA Today newspaper, or check email using free WiFi. Other amenities include limited free parking, 24-hour reception desk service, and business facilities. Each hotel room features a mini-refrigerator and a flat-screen LCD TV with cable and HBO. 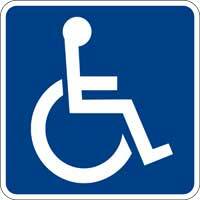 Our non-smoking hotel offers accessible rooms. Take in the natural beauty of northern California with a hike at Presidio of San Francisco National Recreation Area, less than two miles away. Stop by the nearby Exploratorium to discover more than 600 unique exhibits. A trip to San Francisco would not be complete without a visit to Golden Gate Park, where you can take a scenic picture in front of the Golden Gate Bridge and Pacific Ocean. Concierge service available to help plan your time in San Francisco including special offers to the Academy of Sciences in Golden Gate Park. Call, E-mail, or stop by the desk to inquire. Activities : Fun, healthy, active things to do abound around San Francisco Bay. They are very accessible, in gorgeous settings, and entertaining to watch even if you not adventurous enough to participate. Attractions : When a person thinks of San Francisco, a giant International Orange-colored bridge, a park spanning more than 1,000 acres or a city where contemporary art and culture collide often come to mind. While these mainstays never lose their luster, the reasons to visit San Francisco are even more numerous. Where most visitors go while here might surprise you. Business : Moscone expanded to more than two million square feet in 2003 with the opening of Moscone West. Dining : The Summer of Love was a revolutionary time. It started in Haight-Ashbury and spread throughout the rest of the city--and eventually, the world. Although the Summer of Love was 50 years ago, there are many restaurants from that era that are still open today. Who knows? You could be dining today where like the likes of Janis Joplin , Jimi Hendrix or the Grateful Dead once ate.According to the SF Heritage Legacy Project , here are the San Francisco restaurants that were cooking up love back in 1967. 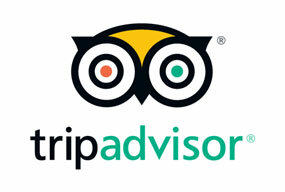 Welcome to our great hotel in San Francisco California with affordable rates and cheap budget discount lodging. Travelodge Presidio welcomes you to our budget hotel in San Francisco California. 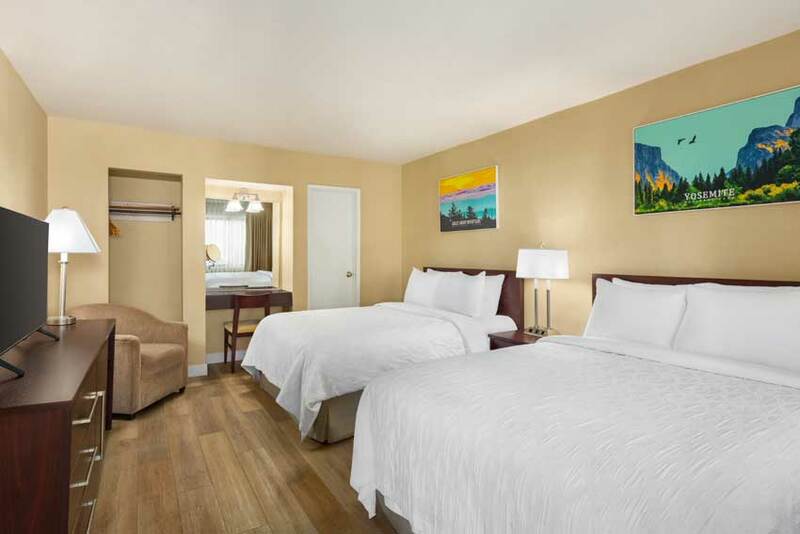 Travelodge Presidio will provide you excellent customer service with great amenities in comparison to all Hotels and Motels in San Francisco California. Please visit us on your next stay in San Francisco California and let us provide you with 4 star hospitality for 2 to 3 star budget rates. 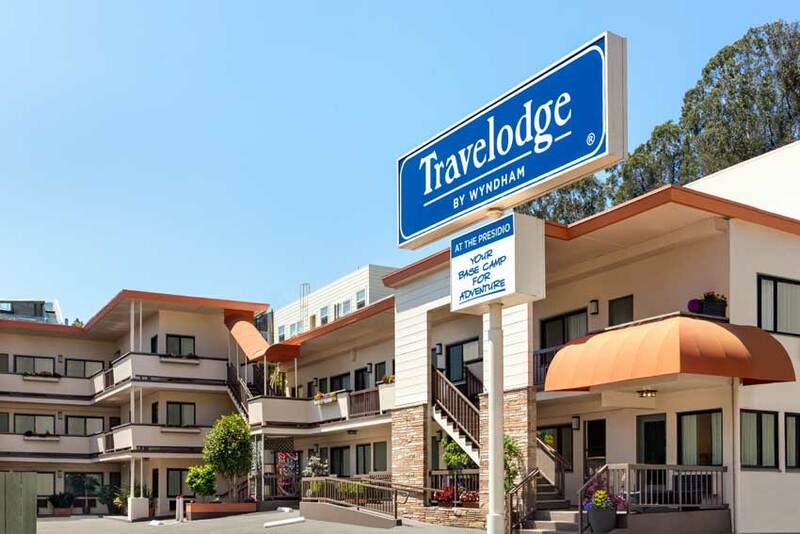 Travelodge Presidio has been providing lodging and accommodations in San Francisco California for several years and looks forward to providing our valued customer and business traveler with the best service in San Francisco California for Hotels and Motels in our local area.